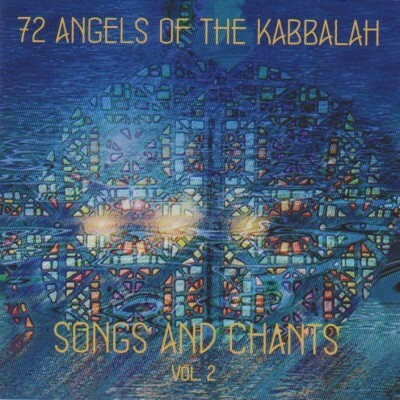 72 Angels of the Kabbalah – Songs and Chants Vol.2. This recording, spanning two CDs features songs recorded live in February 2010 at the Dev Aura Residential Training Academy in Lincolnshire, UK, during the courses entitled “72 Angels of the Kabbalah and Aura-Soma“. The collective singing by the 80 course participants from around the world has a stirring and heart-warming quality. Volume 1 contains songs and mantras from a variety of spiritual traditions and cultures. For your singing enjoyment, a booklet containing song lyrics is included with this CD. Volume 1 contains chants and invocations from the Hebraic tradition, with an accompanying booklet. Participants meet their personal guardian, heart and intellect angels through the invocation of their Hebrew names and radiant colours of the Aura-Soma Equilibrium bottles. The songs and chants on these CDs are used during the courses to invoke the light and to greet the angels. For many this becomes not only an illuminating experience, but a transformational one also. Two wisdom systems come together in the ancient tradition of the 72 Angels of the Kabbalistic Tree of Life and the Aura-Soma Colour-Care-System. Kabbalah, which has its roots in Jewish mysticism, means receptivity. Through our human beingness, we receive and incarnate particular qualities of the Divine though the angelic energies that inhabit us. To become consciously receptive to these angelic influences — particularly our personal Guardian, Heart and Intellect Angels — offers the possibility of the developing more of our life’s potential by integrating their resonances within the body of light that surrounds us. Aura-Soma means Light Body. The radiant colours contained within the Equilibrium bottles offer a mirror to the soul through the reflection of the colours we choose by helping us to see the aspects of Divinity shimmering within us. These two systems offer a powerful combination for bringing light and awareness into physicality. As the Angels and all the colours of light express and magnify the Divine within us, we can bring more of the totality of the particular “hue-mans” we are into being. Credits : Recorded in February 2010 during the 72 Angels of the Kabbalah and Aura-Soma courses at the Dev Aura Residential Training Academy in Lincolnshire, UK. Course presenters: Mike Booth andSundar Robert Dreyfus. Songs and Chants led by Sundar Robert Dreyfus. Recorded and edited by James Asher, supported by Adrian Heyes. Recording content and linear notes advisor: Ailleen Divine. Cover design by James Asher and Ailleen Divine. Photos by James Asher. CD Booklet by Barry Stevens. Project advisor and extra content: Terah Cox. Executive Producer: Mike Booth. Mastered at Starfield Studios by James Asher.